Raleigh, NC – Carolina Wetlands Association joins wetlands enthusiasts all over the country to raise public awareness about the beauty and importance of the nation’s wetlands during April, Earth Month. To promote the importance of wetland ecosystems, the Carolina Wetlands Association announces its fourth class of Wetland Treasures of the Carolinas. Wetland Treasures contain ecologically valuable wetlands, protected by conservation plans, and diversity of plants and animals. Wetland Types: Pocosin, Carolina Bays, marshes and more! “We are offering tours of all our 2019 wetland treasure sites starting the first weekend in May thru June 8. We invite Carolinians to come experience the beauty, wonder and ecology of wetlands up close with us,” said Rick Savage, President of the Carolina Wetlands Association. Field tours details are listed above, as well as on the Carolina Wetlands Association website at carolinawetlands.org. Wetlands play an important role in both the ecology and economy of the Carolinas. They are beautiful, magical places and are sanctuaries for people and wildlife. These hardworking ecosystems provide natural flood control and filter runoff, which helps keep our rivers, lakes, and drinking water clean. 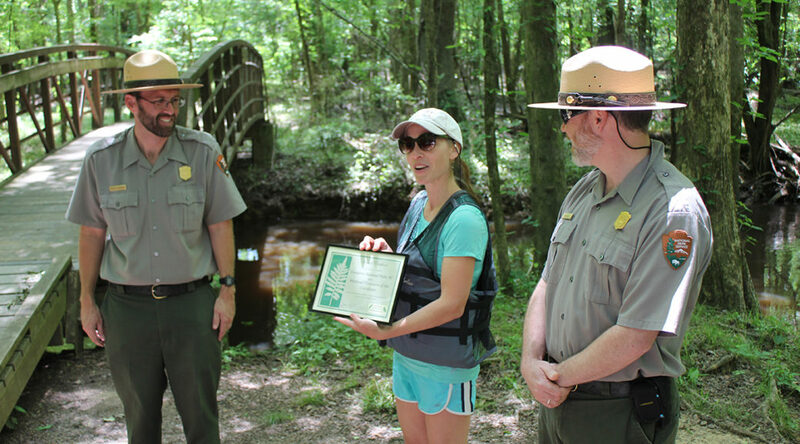 Carolina Wetlands Association thanks the Wisconsin Wetlands Association, whose Wetland Gems program is the model for this program. Carolina Wetlands Association promotes the understanding, protection, restoration, and enjoyment of North and South Carolina’s wetlands and associated ecosystems through science-based programs, education, and advocacy. More information online at carolinawetlands.org.